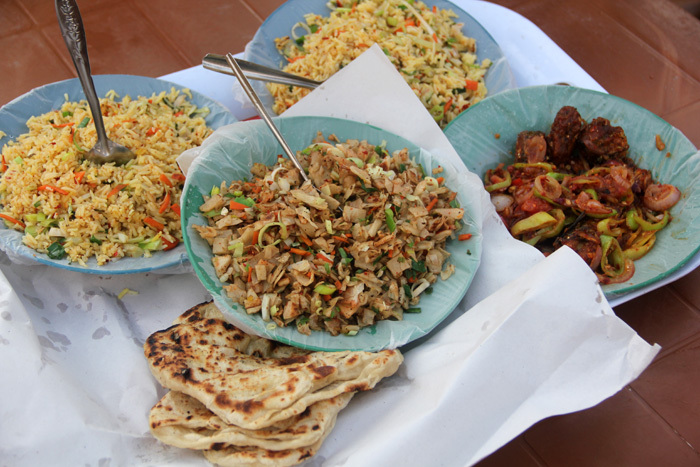 Sri Lanka is well known for its spicy dishes similar to its neighbor India. But while this may be so, the island has its own unique cuisine that visitors should find time to savor. Not many people are aware that Sri Lankans love spices as well as deep fried and tasty food. Two of the most important ingredients in their dishes as fish and coconut which are abundant in the country. Other basics are rice, native tropical fruits and vegetables. Curry is the most common dish but it comes in different versions. It usually comes with vegetables such as carrots, potatoes, eggplant and pumpkin as well as the native veggies like drumstick plant, jackfruit and bitter gourd. Get to know your favorite curries here. Fish curry goes best with rice. Adding vegetable curry would also make a hearty meal. This dish can also be cooked in a deviled sweet and sour fashion. The fish here is normally deep fried and then smothered with a sweet and sour sauce. Red onions and banana peppers are added. By the way, this is best eaten with fried rice or flatbread paratha. Chili fish curry is another version. This is the spicier version. This curry dish is called parippu by the locals. It is one of the most widely eaten staple dishes in Sri Lanka. Dhal or the masoor dahl is usually red lentils cooked with various spices and coconut milk to make a stew. It is best eaten with rice and bread. Locally known as polos, this curry dish uses the young and unripe jackfruit. The jackfruit is sliced into chunks and then simmered together with a variety of spices until very tender. The goat curry is said to be hotter as more peppers are added. The Jaffna curry is an example which also features seafood other than goat meat. It is considered the Tamil-style version from the country’s northern section. Referred to as kukul mas curry, this dish may not taste the same depending on where you are eating. It is said that every one in Sri Lanka has his own variation of the chicken curry with their own ratio of spices and ingredients. But the basic ingredient which is coconut milk remains. The eggplant curry is similar to Thailand’s green curry called ela batu. The Thai eggplant or the small ones the size of golf balls are used in making this curry but its green sauce is Sri Lanka’s own version which is not so sweet but spicier. Crab curry is popular in Sri Lanka. It uses the local crab meat which absorbs all the country’s spices.